Facebook CEO Mark Zuckerberg is promising to do a better job protecting user data following reports that a political consultant misused the personal information of millions of the company's subscribers. The fact is, European regulators are already forcing him to do so. 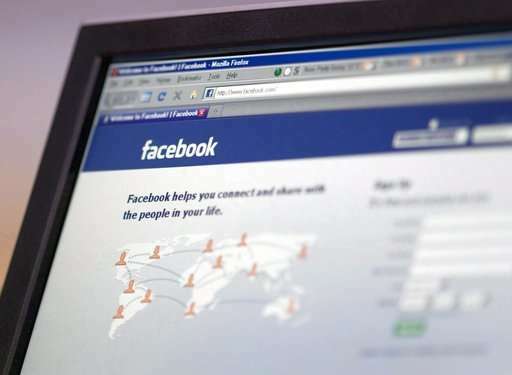 A similar data breach in the future could make Facebook liable for fines of more than $1.6 billion under the European Union's new General Data Protection Regulation, which will be enforced from May 25. The rules, approved two years ago, also make it easier for consumers to give and withdraw consent for the use of their data and apply to any company that uses the data of EU residents, no matter where it is based. "For those of us who hold out no hope that our government will stand up for our rights, we are grateful to Europe," said Siva Vaidhyanathan, a professor at the University of Virginia who studies technology and intellectual property. "I have great hopes that GDPR will serve as a model for ensuring that citizens have dignity and autonomy in the digital economy. I wish we had the forethought to stand up for the citizen's rights in 1998 (the start of Google), but I'll settle for 2018." The U.S. has generally taken a light touch approach to regulating internet companies, with concerns about stifling the technology-fed economic boom derailing President Barack Obama's 2012 proposal for a privacy bill of rights. But Europe has been more aggressive. EU authorities have in recent years taken aim at Google's dominance among internet search engines and demanded back taxes from Apple and Amazon. The European Court of Justice in 2014 recognized "the right to be forgotten," allowing people to demand search engines remove information about them if they can prove there's no compelling reason for it to remain. Now data protection is in the crosshairs of the 28-nation bloc, where history has made the right to privacy a fundamental guarantee. Nazi Germany's use of personal information to target Jews hasn't been forgotten, and the new Eastern European members have even fresher memories of spying and eavesdropping by their former communist governments. In today's world, digital commerce companies collect information on every website users visit and every video they like. This data is the lifeblood of social media sites that give users free access to their services in exchange for the right to use that intelligence to attract advertisers. The EU's new rules expand the reach of regulations to cover any company that processes the data of people living in the bloc, regardless of where the company is based. Earlier rules were ambiguous on this point, and international companies took advantage of that to skirt some regulation, the EU says. To ensure compliance, there's the potential for big fines. Under GDPR, organizations face fines of up to 20 million euros ($25 million) or 4 percent of annual global turnover—whichever is greater—for the most serious violations. Even though GDPR doesn't legally protect the data of people outside the EU, analysts expect many companies to apply the rules worldwide. Smaller firms are likely to decide it's too expensive to run multiple compliance systems, though bigger firms like Facebook and Google may still decide to "bracket off" European operations, Vaidhyanathan said. Sarah T. Roberts, a professor of information studies at UCLA, says the EU is formulating the rules of engagement, rather than allowing internet companies to dictate. While U.S.-based platforms were created in the image of Silicon Valley, that type of bravado and no-holds barred capitalism doesn't go down well in Europe. Facebook, for one, has taken notice, setting aside a page of its website to explain what the company is doing to comply with GDPR. "We've built tools to help people manage their data and understand their choices with respect to how we use their personal data," it says. But GDPR is not a panacea that will ensure everyone's data is protected. Some analysts suggest the next step should be to ensure that everyone owns their own data and can sell it in exchange for services. "Cambridge Analytica's story sounds like a spy novel," he said. "It has a bond villain in Alexander Nix. It has a secretive billionaire genius in Robert Mercer. It has the evil sidekick in Steve Bannon. It is working for right-wing interests and it claims to be able to control our minds," he said. "We needed a few Bond villains to make the story lively."